Tuberous Sclerosis is a rare condition that is characterized by the growth of benign tumours on skin, brain and other internal organs like the kidneys, heart, and lungs. The nature of these tumours is usually non-cancerous. This is a congenital condition, as it develops during the foetal state before birth. But the symptoms tend to keep growing well into childhood. Children with Tuberous Sclerosis tend to have seizures and other intellectual disabilities. It affects a lot of individuals around the world, and there is no specific cause of occurrence of this condition apart from a genetic mutation of a particular set of genes. Rashes on the face in the shape of a butterfly on the nose and the cheeks. 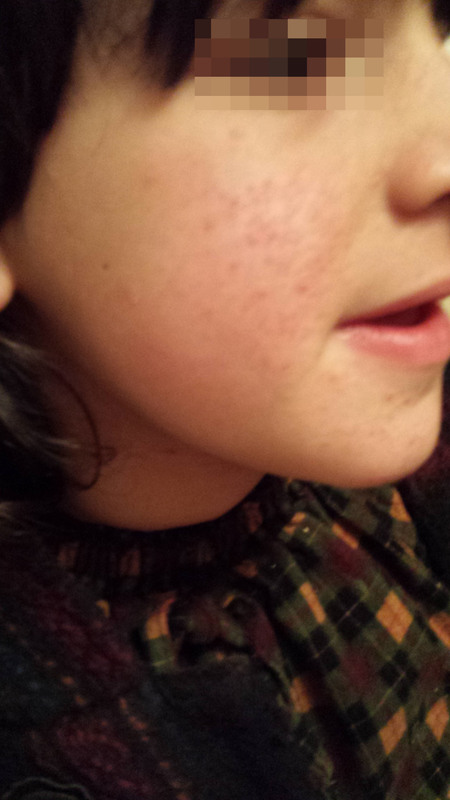 The red bumps that accompany the rash are usually painless. 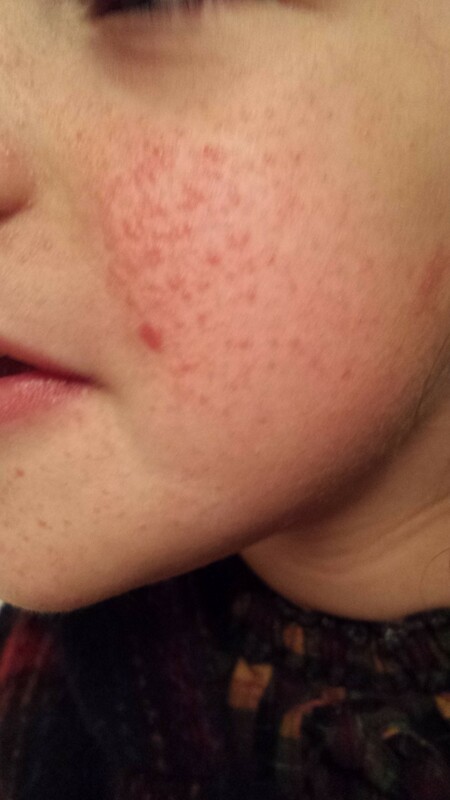 Discolored patches on the forehead with dry, flaky skin. Tumours growth near the finger nails and toe nails. Light coloured patches on the skin caused by a deficiency of melanin. If the tumours are in the brain, then seizures and intellectual disabilities along with significant development delays. The primary cause of the occurrence of Tuberous Sclerosis is a genetic mutation in either the TSC1 or TSC2 gene. As it is usually a congenital disease, the symptoms are already in place before the birth of a child. The function of the TSC1 and TSC2 genes is to regulate the growth of the cells in the body but due to an abnormal mutation in these genes, they fail to perform their function. This leads to an uncontrollable growth in cells which in turn results in lesions or tumours on the body. Owing to its genetic nature, Tuberous Sclerosis is difficult to predict and prevent. However, a healthy lifestyle during pregnancy and proper infant care after the birth can help in simplifying the managing of this condition up to a great extent. Tuberous Sclerosis treatment may include surgery if the tumours are present in vital organs like the brain, heart, and kidneys. In the case of skin lesions, a process called dermabrasion is used to remove the tumors effectively and reinstate healthy skin. Laser treatment of the affected area has also shown to be an effective method for managing this skin condition. The Tuberous Sclerosis treatment method used at HPDC is different from the traditional methods used by modern medicine. We use completely natural methods to develop our treatment techniques, and this ensures that there are no harmful chemical substances that might have adverse effects on the health of an individual. Our Tuberous Sclerosis treatment includes Homeopathic TS drops and Dr. Zamir Herbal cream. Both of these are natural remedies developed by us and therefore bear no side effects of any kind. Within a few weeks of the treatment, the patient can see the healing process coming to an end, and the skin rejuvenated and cured. Since we do not use any chemical substances in our treatment, there is no need to intoxicate your body with powerful medicine that might have a negative effect on your overall health. So opt for our natural and homeopathic remedies for your Tuberous Sclerosis treatment to ensure a speedy and complete healing without the involvement of any harmful chemical substances. To know more about tuberous sclerosis treatment and how our experts can help you get rid of it, get in touch with us now. We would be glad to assist you to get healthy skin without the use of harmful drugs or chemicals. Call now!